Your commercial space is just as important as your house. As your home away from home, we understand how valuable this space is to you. We know you are willing to do anything necessary to ensure it is kept in the best condition at all times. Part of maintaining your commercial business’ value is taking care of its cleanness. While businesses vary in size, the common stress of having to clean it yourself is nothing new. Turn to us for commercial cleaning in San Antonio. We can assist you with any from commercial floor cleaning to steam cleaning carpets in your office. Contact us today for pricing and scheduling information. Whether you do not want clean your space or you simply do not have the time, you do not have to worry about a thing when you work with Steam Master Cleaning and Restoration. 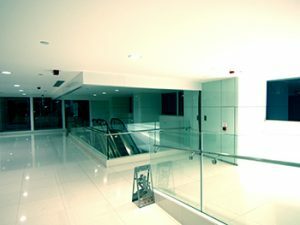 Our expert commercial cleaning team will work around your scheduling needs. From cleaning your carpets to your upholstery, air ducts, and bathrooms, we believe in providing you with cleaning services that encompass your entire building’s needs. We are the experts and we’ll take care of you. With 50 years of commercial experience, you can trust that when you work with us, your business will be taken care of. We put you and your needs first, only offering what you see fit and leaving you with results you will not find anywhere else. We believe in standing out with the work we do, the way we treat our customers, and the commitment we have to superior results. We provide exceptional service from start to finish simply because it’s what you deserve. We are not just steam cleaning professionals who care, we are experts who are passionate about making a difference. If you are interested in what we can do for your commercial business, contact us today. We look forward to providing you with quality commercial cleaning in San Antonio.